The line 3 of Mumbai Metro is expected to cost Rs 30,000 crore. The earlier estimate, based on a detailed project report (DPR) from 2011, was Rs 23,136 crore. “There is a gap between the approved cost and the actual completion cost. There is a provision to allow for revised costs, and we have already initiated that process. 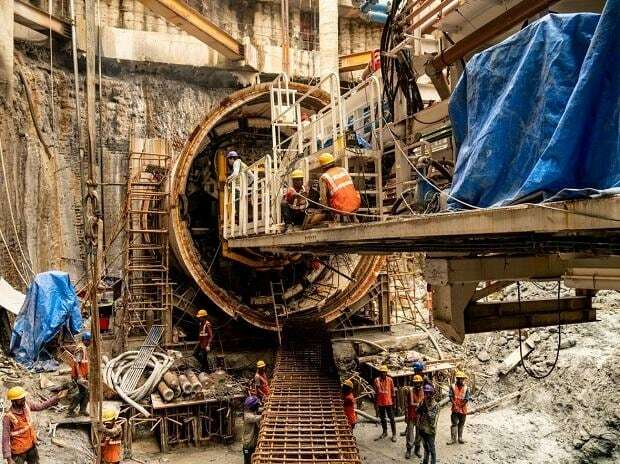 The gap is for the value of time loss and some changes that occur while implementing the project on ground,” said Ashwini Bhide, managing director, Mumbai Metro Rail Corporation (MMRC). At 33.5 km, line 3 is the longest corridor of the Mumbai metro. The fully underground stretch runs along Colaba-Bandra-SEEPZ. The MMRC is the nodal agency for constructing this line. The project is being financed through a mix of debt from Japan International Cooperation Agency (Jica), equal equity contribution from the central and state governments, and additional subordinate debt. Bhide said the project was on time to be completed by 2021 as planned, but if a proposed depot at the Aarey Colony was delayed, there could be a problem. The metro project has faced protests over this depot in the western suburb of Mumbai. Green activists claim the construction of the depot will destroy green cover in the area. Bhide said the allegation was baseless and the disputed stretch had been classified as grazing land. The MMRC now awaits clearance from the Tree Authority to cut some tree and construct the metro depot. Bhide expects 80 per cent of the Metro line’s tunneling work to be completed by December this year. “Some additional tunneling will be completed by March–April next year. Station works are at different stages (of completion) and progressing well,” she said.